mAh per display square in. 230mAh/sqrin. 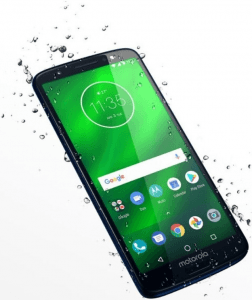 The Moto G6 Plus extends the plain Moto G6's 5.7-inch display to 5.9 inches, while retaining its FHD+ (1080p) resolution and expansive 18:9 aspect ratio, while it records UHD-2160p videos using its dual rear camera (12- and 5-megapixel cams), which incidentally features the Dual Autofocus Pixel technology. Also, it resembles many high-end wide-screen smartphones in terms of hardware with its 2.2GHz eight-core processor and 6GB RAM. 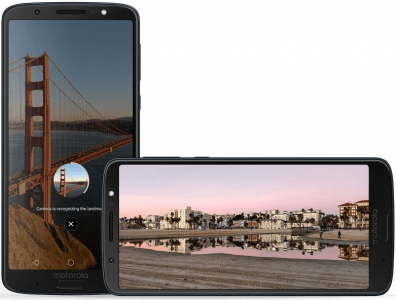 Also known as Motorola G6 Plus, Motorola Moto G Plus Gen 6. 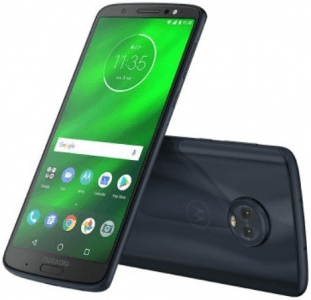 Pros and Cons Review While the Moto G6 Plus's 3200mAh battery and 8-megapixel-only camera are obvious cons by high-end measures, pros like a 6GB RAM and a 4K-video-capable 12- plus 5-megapixel dual camera still give it a flagship-tier punch. We dive into its specs here. (more) Latest Motorola See all the new Motorola phones.